GOODGOD Small Club ~ JERK AFTER WORK! 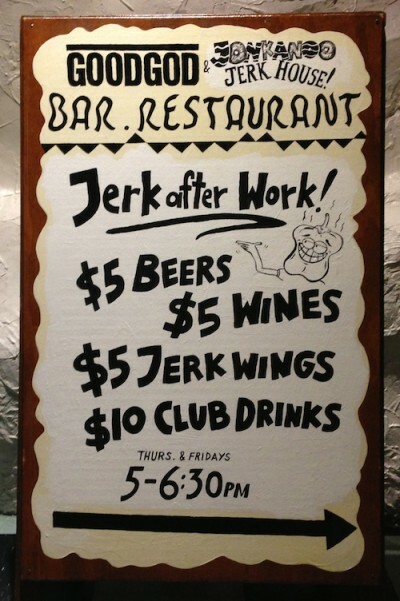 Kick on outta the office and get amongst some post-work drinks and wings… we’re bringing you Jerk After Work every Thursday and Friday from 5-6:30pm! Enjoy a plate of our delicious fried Jerk Wings for just $5, along with $5 beer and wine, and $10 club drinks. We’re doing it every Thursday and Friday, so grab a crew and find yourself a booth!